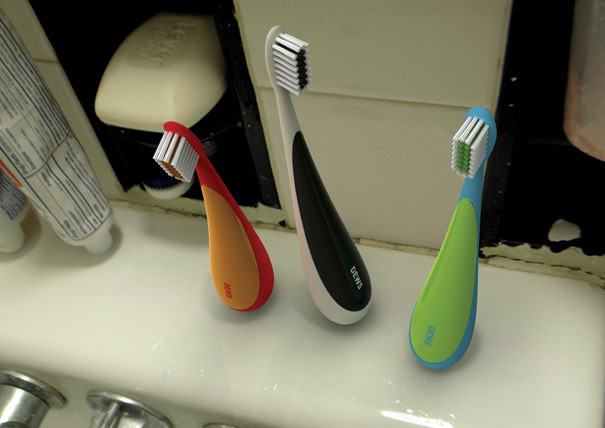 Collection of the most cool, innovative, creative and unusual toothbrush designs from all over the world. 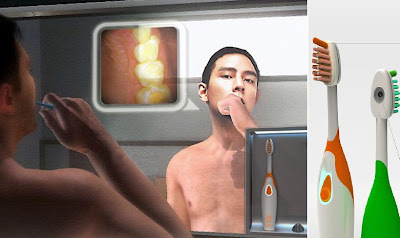 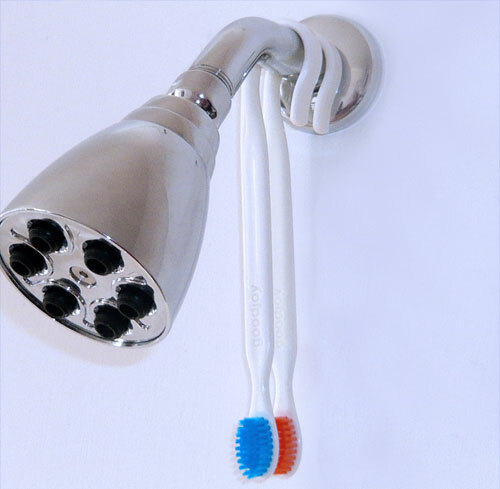 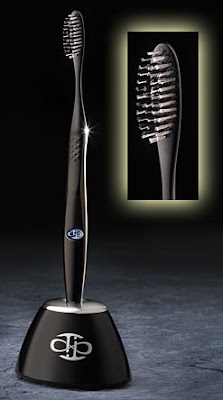 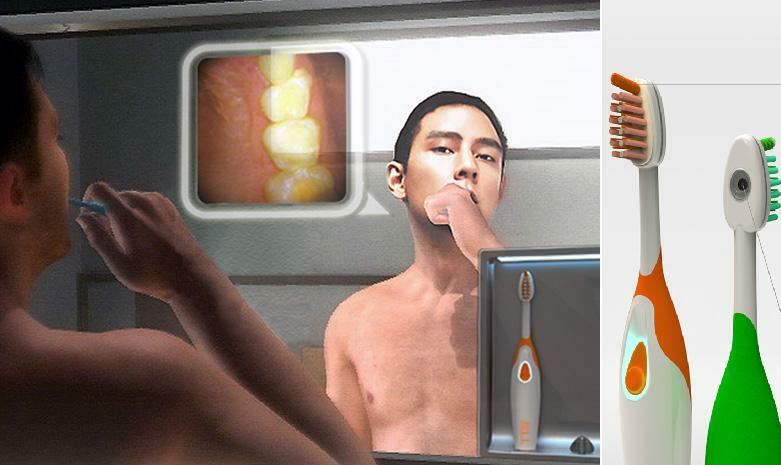 High-Tech Toothbrush: This high-tech toothbrush comes integrated with a camera and a UV system; while you brush your teeth the camera takes the images that are displayed on the side screen on the mirror simultaneously. 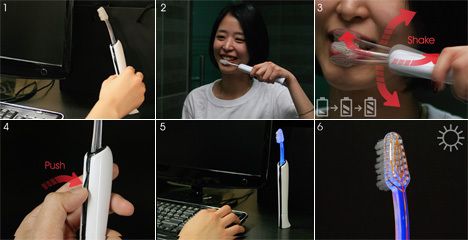 The UV light keeps your toothbrush clean while the camera lets you know the state of your teeth. 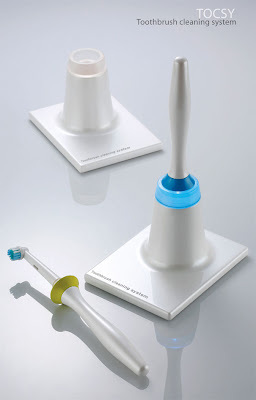 Steward Oralcare Toothbrush: This Steward Oralcare toothbrush by Emami comes with toothpaste, mouthwash and floss. 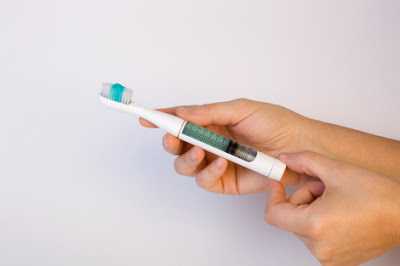 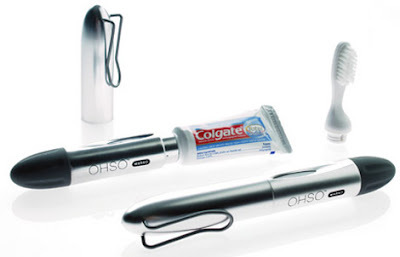 Ohso Marko Travel Toothbrush: It's a chrome-finished toothbrush that lets you store the toothpaste in the handle; at the time of brushing, simply turn the bottom of the toothbrush and the small nozzle beneath the bristles lets the right amount of toothpaste out. Ohso Divo Toothpaste Toothbrush: This travel toothbrush holds more toothpaste and comes with a higher quality bristle head in comparison to its predecessor. Toothbrush by J M Sook: It's a toothbrush cleaning system that can be connected to the USB of your notebook. Solar Power Toothbrush: The solar powered toothbrush features a solar panel at its base, (functions much like a solar calculator) and requires no toothpaste. 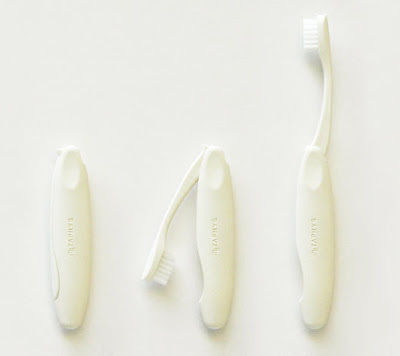 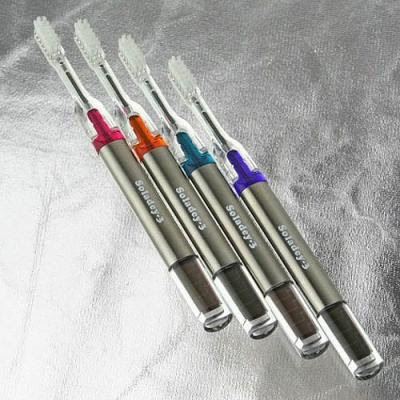 Titanium Toothbrush by Dane Robinson: The bristles are made out of titanium and are said to be soft. Upstanding Toothbrush: This toothbrush comes with weight at the end of its rounded handle; when you set the toothbrush down, it stays down for a while and then springs back upright. 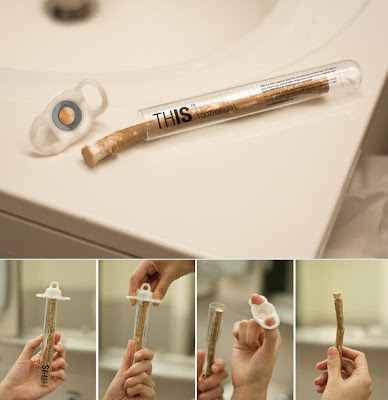 Twig Toothbrush: Miswak has been used as a teeth cleaning twig in certain parts of the world; here we have a Miswak twig that comes with soft bristles similar to that of a toothbrush. 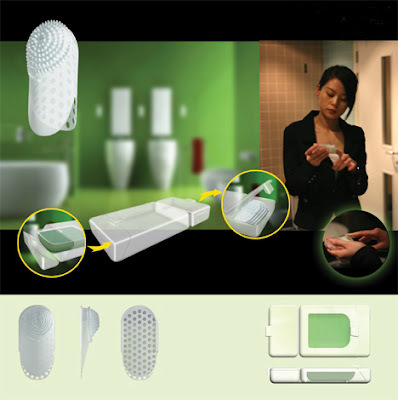 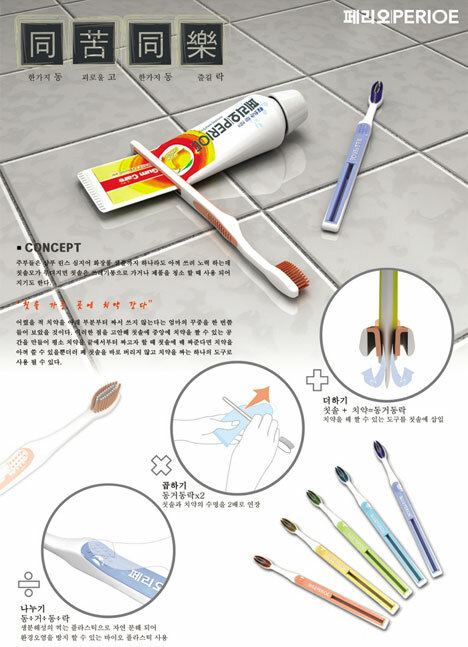 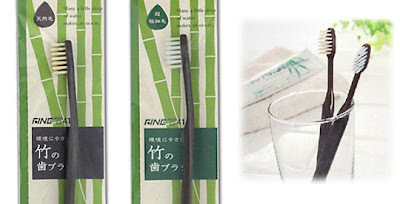 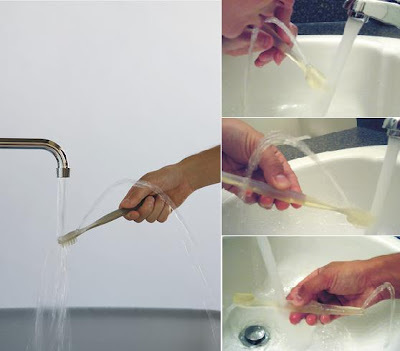 Folding Toothbrush: It's a compact toothbrush that folds, ideal for travel. 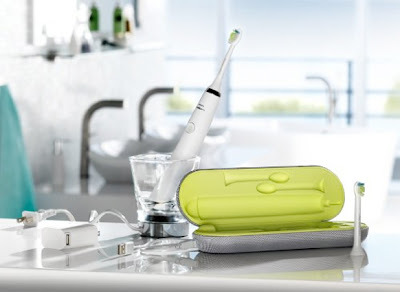 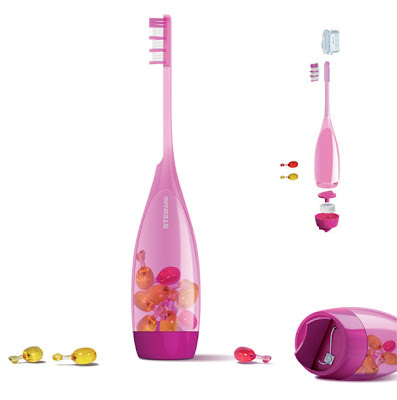 DiamondClean Electric Toothbrush: The DiamondClean Sonicare toothbrushes features multiple modes for different levels of cleaning; while it has an interesting base station that looks more like a drinking glass; and while traveling it can be connected to the USB of your laptop. Toothpaste Squeezing Toothbrush: A cool toothbrush designed by Jee Young Choi provides an interesting way to squeeze out that last drop of toothpaste.